The world might be a better place for our dogs and cats if they had thumbs…. Welcome to my Blog, to learn more about National Dog Week, and its Founder, please see ABOUT…While away from home, I will continue my posting to the blog…stay tuned for an interview out of Las Vegas with my personal friend, the dog-loving, internationally renowned boxing ref, Joe Cortez (owner of five pups), fellow-writer, Lisa Pliscou, who will talk about her new website that will inspire you to “Get Stoked” while your kids wait for her new children’s book to be released in May, and an interview of me, conducted by my dog, Hooper…hey, it is a dog-centric blog and here in the Keys, dogs rule….and of course, an on-site report on the progress of the Big Pine Bark Park! Congratulations to Nikki Moustaki who took to the airways on the Howard Stern Show on Monday on Sirius XM Radio to discuss her work on behalf of Nitro’s Law. It was very successful and brought a lot of attention to a very serious issue. Congratulations to Nikki, Bocker the Labradoodle, the Nitro Foundation and so many others for getting Nitro’s Law Reintroduced…hopefully this bill will pass this time… (See my past two posts for details). It all started with a Post on a Facebook Wall Post, and the fact that March 3rd is known as being “What if Cats and Dogs had Opposable Thumbs Day?” Let me explain. Today, a Facebook Friend and animal advocate Gary Larson posted an article on his wall in which two men had been arrested in Arizona for procuring dogs through a Craig’s List ad and then doing appalling and unmentionable things to them (with the owner’s consent). The tone of the article seemed inappropriate to me, (and to another Facebook Friend from Kentucky), and the ensuing comments about the article, which were insensitive and ignorant made it all the worse. Backtracking just a bit, when I read that the third of the month would bring us “What if Cats and Dogs had Opposable Thumbs Day” I thought it would make for a good light-hearted blog post topic. For the record, this day is the creation of Thomas and Ruth Roy of Wellcat Holidays and Herbs. But they are by no means the only ones who have posed this question. Way back in the late 1940s, Will Judy, the man who established the National Dog Week Movement eight decades ago put forth the notion that the only thing that separated us from the dog is our ability to speak, use an alphabet and our thumbs. He asked, “So, fellow sons of God, immortals, who think we are just a little below the race of heaven, take away your alfabet and your fingers, where would you be?” (He had his own whimsical way of spelling). So I got to thinking, what if cats and dogs could use a mouse and keyboard to post comments and update statuses on Facebook which conjured up cute and funny possibilities and images. But judging from several news items of late things aren’t so cute and funny out there in the world, and perhaps it would be beneficial if our animals did have thumbs and voices, and the ability to fight for their own causes so that monsters who hurt and abuse them by exploiting “Free to Good Home” or pets for sale postings to obtain animals for use as bait dogs or other horrific purposes, are punished appropriately. I know that bad things happen all the time to humans, with or without sites like Craig’s List, but most humans are capable of Free Choice and can play a role in their fate. For the record, I and many others I know, have bought some great items like furniture, boats, etc. on these sites, but is this really a good place to offer living breathing entities of any species? I know Rescue Groups use Craig’s List as a way to find homes for pets, and I know people who have gotten their pups through the site, but it still doesn’t seem right to me. I am considering a Petition Site on this topic…should pet transactions on Craig’s List be banned altogether, or should there be more consideration and accountability be required on behalf the Craig’s List’s Management…I am making a serious inquiry so any effort can make some kind of positive difference. Am I wrong? Please e-mail me at pst39crd@aol.com. Every day, everyone has the choice to use words, spoken or written, to help humans and animals, everywhere. They won’t win any medals, but those they helped will be better for it. Welcome to my blog that was established to bring awareness to the National Dog Week Movement begun in 1928. To read more…please see ABOUT. 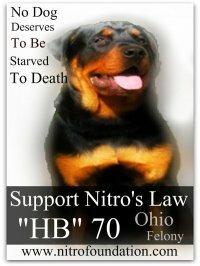 Nitro’s Law HB108 (formerly HB70) was reintroduced on February 22, 2011. Please… Now it has to be PASSED, contact your Ohio Legislators now! http://www.house.state.oh.us/index.php?option=com_displaymembers&Itemid=55. Among other places, Nikki was recently interviewed by Wolf Blitzer on CNN and will talk with Howard Stern tomorrow, February 28th, at 7am on Sirius XM Radio. Good work on the part of Nikki, Bocker and the Nitro Foundation! February is National Spay and Neuter Month, and today, February 22nd was Spay Day USA…help put an end to the nation’s pet overpopulation epidemic and make sure you are responsible pet owners….not just during February, or today, but year round…If anyone can provide information on spay and neuter clinics that offer financial help to pet owners in different areas of the nation, or clinics please contact me at pst39crd@aol.com and I will post…thanks (or post a comment). This was submitted by my Facebook Friend Pat Needham for those in Kentucky: Erik Fleming Regional Low Cost Spay/Neuter Clinic 9142 Morehead Rd. Flemingsburg, Ky 41041 phone 606 876-2697. They opened Feb. 22 and it is a very nice facility. As Nikki Moustaki’s “Eating Dog Food for Nitro’s Law” campaign heats up across media outlets, and in saute pans across America, she is bringing wide-spread awareness to the way state laws across the nation affect the way our pets are treated. To read more about this, please see my previous post that features my interview with her or go to http://www.nitrofoundation.com. Anyone who is a regular reader of these posts, or visits my Facebook wall will be quick to notice comments to and from, and photos of Bocker the Labradoodle as standard features in those places! 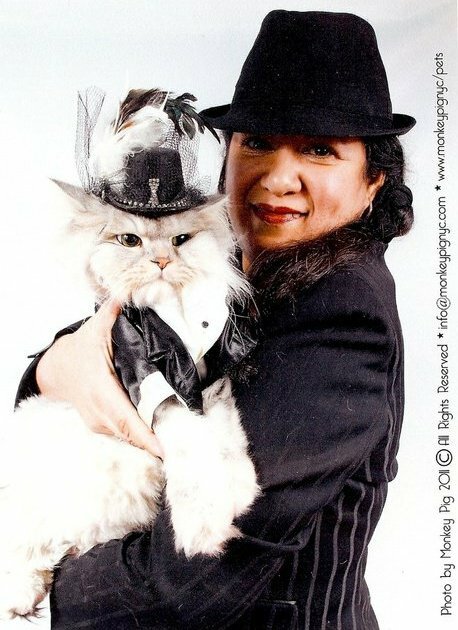 I met Bocker and his “mom” Marie in August of last year and again at Ada Nieves’ Pre-Westminster Fashion Show in New York on February 11. Not only is Bocker an actor/model, he also works as a “literary assistance” dog, helping kids to read, and tirelessly works with his mom to help raise funds for shelter dogs. Now, Bocker is joining Nikki to help bring awareness to her mission to get the State of Ohio to pass Nitro’s Law. In these tough economic times, the voiceless among us are often forgotten, in this case our dogs. Nitro, and several other dogs, starved in silence, at the hands of someone who purported to care. Now, Nikki, and those who are helping her, hope that a bill that showed great promise won’t starve in silence also. Bocker is now eating human food in his effort to get Nitro’s law passed and in doing so, getting other states to take a look at laws affecting their pets. To learn how you and your dog (or cat) can get in on this good cause please go to http://www.facebook.com/bocker#!/photo.php?fbid=171947436185324&set=a.171947432851991.42880.171725899540811&theater. I am sure dogs of America will only be too glad to help in this case…but they do so much, asking for so little in return, they won’t even know that they’re helping a good cause, as usual. Welcome to a blog established to educate dog-lovers across America about the 83-year old tradition of National Dog Week, and a great writing project I am involved in. To read more, please see ABOUT. Congratulations to Nikki and her numerous radio and television appearances, including her interview with Wolf Blitzer of CNN…In my next post I’ll tell you how Bocker the Labradoodle is eating human food for Nitro’s Law and how your dog can get in on the action! Nitro was a beautiful healthy Rottweiler dog born and bred in Ohio, who came to be part of a very loving family in New York. But when Nitro was sent back to Ohio to enjoy some advanced training time with his breeder at a “Summer Camp” at High-Caliber K-9 in Youngstown, Ohio, his life and that of six other dogs would come to an incomprehensible and horribly cruel end at the hands of his own breeder, a man by the name of Steve Croley. 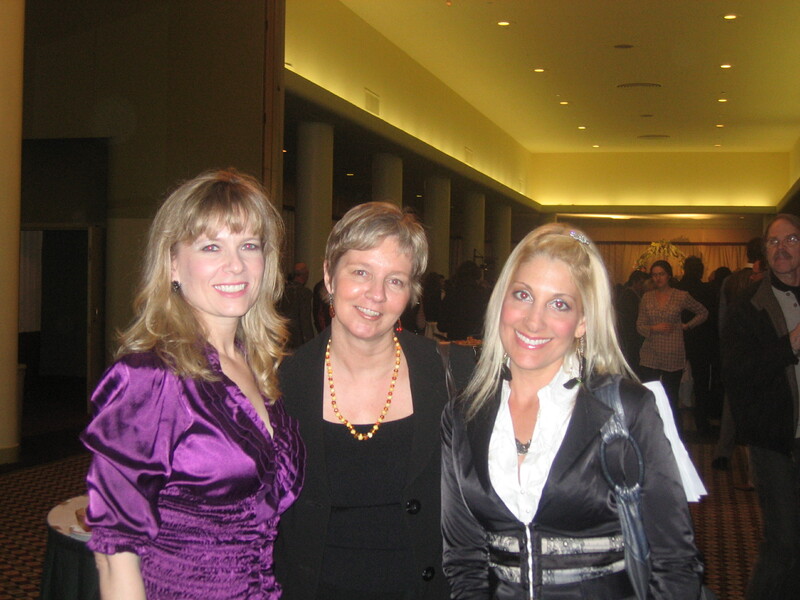 Mr. Croley basically got away with murder, but Liz (Nitro’s Mom) and her family have made it their mission to, “help change laws in Ohio to make animal cruelty a felony.” To read the full story, please go to http://www.nitrofoundation.com. Upon hearing of their story, Miami-based animal activist and author, Nikki Moustaki, made it her mission to help bring attention to the plight of animals in Ohio, and other states. The following is my interview with Nikki, whom I had the pleasure to meet at a Pre-Westminster event last week in New York City. Please tell everyone why you are eating one meal of dog food each day? I first read about Nitro’s Law on Facebook and I was immediately upset by the situation that brought the need for this law to be written. I have three dogs and I can’t imagine not feeding them for half a day, much less not feeding them at all. I have real empathy for other creatures, both human and animal, and it literally hurt me to think of the suffering that the starving dogs incurred at the boarding facility in Ohio where they were tortured to death by being denied food. I discovered that the Nitro’s Law did pass the House of Representatives in Ohio — obviously it was a viable law — but it did not pass the senate. I wondered why. What steps did you take to find out more about this law? I got in touch with Nitro’s human mom because I wanted to know more about the situation. She told me, with heartbreak in her voice, that she believed that the law did not pass, in part, because it didn’t get enough attention. She told me that the senators were campaigning in 2010 for reelection, so Nitro’s Law wasn’t a priority. Perhaps it can be a priority in 2011 if some attention is brought to it. The potential solution came to me in a “light bulb” moment. I would eat dog food every day and ask other animal lovers to eat dog food with me, and in this way we could get some attention for the law. I decided to post my campaign to YouTube every day to sort of “prove” that I was doing it and to encourage others to do the same. Eating dog food is a very off-the-wall, strange thing to do! I realize that. But I also realize that if someone doesn’t take a stand for injustice, it will continue. Honestly, this is a very small sacrifice compared to the good that can come out of it. Can you tell us about the brand you are consuming? Any good recipes you care to share? The dog food I am eating is called Lucky Dog Cuisine (http://www.luckydogcuisine.com) and it’s the “Porsche of dog foods.” It’s human-grade, meaning that everything in it is fresh and consumable by humans, and the meat is from a butcher. It’s very safe to eat, which is why I chose it. I wanted to choose a food whose ingredients were sourced strictly in the USA. I have also met the owners of the company and I know that the food is made by hand in small batches, which makes me feel safe. I also feel good feeding it to my dogs. And no, Lucky Dog Cuisine is not paying me to say this or do this! I just want to stress that if anyone else joins me they should choose a human grade food — I want this law to pass, but I also want everyone to stay healthy. I can cook well, I just tend to be lazy and order or eat out. I’ve been mixing the dog food with food I get from the store or restaurants, and that has been good. I’m planning some recipes, but that means dirtying up pots and pans! How can others join in this cause? People can join as a “team member,” eating dog food every day with me until this law is reintroduced, or as a “cheerleader,” eating dog food occasionally or eating biscuits, etc. They should see this link for details: http://betterwords.typepad.com/nikki_moustaki/requirements-to-join-the-nitros-law-eating-dog-food-campaign.html. How will you make sure the right powers learn about your mission and what do you hope to accomplish? Have you contacted any senators or congress people who can help you? The idea behind this is to get as much attention for Nitro’s Law as possible. That’s my role in the team. The other people working toward getting Nitro’s Law passed, including Nitro’s mom and other supporters, are the ones calling the congressmen, writing letters etc. It’s definitely a team effort. Have you reached out to Ellen DeGenares, or anyone with her power, for national exposure? I think that some of my supporters have contacted Ellen. I know that she’s an animal lover and it would be amazing to get onto her show because it would give a lot of exposure to Nitro’s Law. Eating dog food once a day is the craziest thing I have done to help animals, but I do a lot of other things to help animals as well. I run a site called The Pet Postcard Project (www.petpostcardproject.com) where people send me postcards in the mail and some dog food goes to animal shelters for each postcard I receive. I have raised over 116,000 pounds of dog food this way. I also take dogs out of my local shelter and find them homes. I am not unsympathetic to human causes, such as hunger, disease, and the environment. But those are such huge issues with a lot of people working on them already, and I choose to focus on issues where I feel I can make the most impact. If people do not wish to join in and eat along, is there anything they can do to help build awareness of this cause? People can share this on Facebook and Twitter, subscribe to my YouTube videos, and tell everyone they know about it. If they live in Ohio, they can call their local politicians and tell them that they want Nitro’s Law reintroduced into the House of Representatives. Congratulations to Nikki for putting her money (or dog food) where her mouth is and walking the walk for an issue that is so important. I wish her, and all involved in this cause much success. 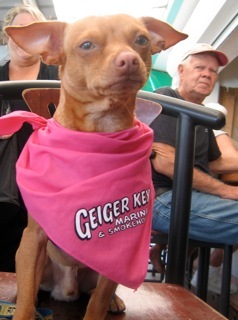 Nikki has suggested we do lunch one day in the Keys while I am down there and I am thinking that this just might mean there is a Lucky Dog meal, or at least a dog biscuit, in my future. If anyone reading has any influence in the state of Ohio, please use it. Welcome! 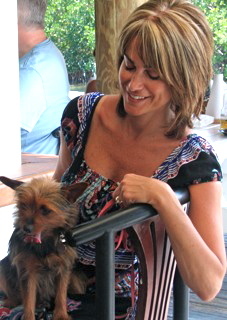 To learn more about my National Dog Week Project, please see ABOUT! If this quote holds some truth, and dogs can really talk, then a lot of humans will be wagging their tails come this weekend when The Pre-Westminster Gala & Fashion Show will herald the beginning of the 2011 Westminster Kennel Club Dog Show Weekend. Held at the historic Hotel Pennsylvania, this event caters to the The Westminster Kennel Club Dog Show’s Particiants and Attendees on the evening of Februaty 11th in the beautiful Penn-Top Ballroom overlooking New York City in all its glory. Featuring the latest products in the market, the event, chaired by Gregg R. Oehler, recognizes the efforts of those people working to make a difference within the Dog Community. The show closes with the “Puptials” Ceremony of a Champion Show Dog as a loving symbol of our beloved companion animals and their proud parents. Come meet some of NYC’s Top Breed Group Organizers, Celebrities and Active Dog Community Members. Also, there will be National & New York media affiliates who are covering the show, attendees, and show dog people. In November, I interviewed Ada Nieves (Archive 11/14), the event’s Fashion Director. Below Ada shares some updates on this event. Can you tell everyone how your plans are coming along for the PWF Show? Happy to !!! This event is all about presenting the latest product in the market, supporting and recognizing members of our dog community that are the heart of all…it’s about having dog owners confirm their friendship and the love of their pets. It’s about helping local rescues….it’s about an industry that depends on the members of its community to thrive, to get strong and keep growing. It’s about passion, commitment…the need of help make this planet a better place for all! What designers will be featured? I’m very proud to say we count with some of the top pet designers from our nation’s best! First we have the students from the Fashion Institute of Technology Certificate Class of Pet Product and Marketing Design…about ten of the best in class will feature their own products and will have them available for purchase in the show. Then we have four colleagues that I truly enjoy and whose work I admire; Roberto Negrin, Anthony Rubio, Tammy Peace and Aleyda Delgado. Who will model? Celebrity dogs like Booboo ( Broadway’s Legally Blonde show Chihuahua ), Bocker the Labradoodle and Eli, NYC’s celebrity Chihuahua and our Top Breed meet-up organizers and the new TV reality show Doggie Moms…including a dog that will compete at Westminster who will be getting married at our event. We will definitely have a variety of the best of NYC on the runway in a three-part show that includes, vendors showcase, celebrity awards and then closing with puptials! How long has this event been going on? Since 2006 and since its beginning, I’ve been the fashion designer…however this year we want to share the runway with my friends and show our dog community what great talent we have! Is it for charity? Yes. Proceeds are to benefit Sean Casey Animal Rescue, http://www.nyanimalrescue.org. Can you tell us about some of the fun things planned for dog and human? We will open with a showcase of products from sponsors and FIT students getting into the industry, guests will be able to purchase on the spot their products of choice. 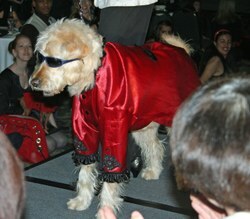 We will have three runway shows…at each, top dog models, members of the community and celebrities will be featured. In between each show there will be short entertainments…goodie bag give-aways, …two “indognito” judges will select the best dressed from the audience for a chance to be a guest of honor and participate at the puptials! Tell us about your sponsors? We have as Cesar’s Way magazine and Natural Balance…and also some Gold Sponsors …see website for complete list… http://www.pre-westminsterfashionshow.com. Thank you Ada. We wish you and your associates the best of luck with this event!